POLICE returned to Toolara State Forest yesterday where a skull, possibly linked to the Cedar Pocket torso mystery, was found two weeks ago. About 65 police and SES personnel were part of a search at the scene off Cooloola Coast Rd. 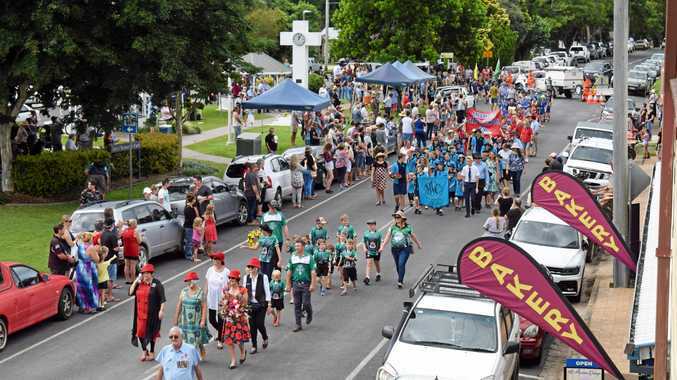 Among those taking part were special forensic officers from Brisbane, Gympie CIB detectives and two police officers specifically trained to conduct searches. 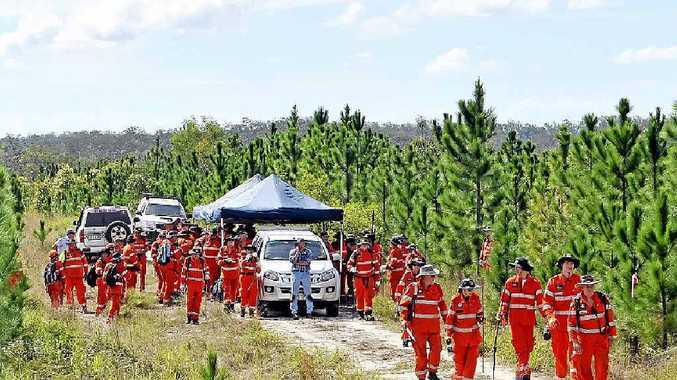 Wide Bay Burnett Detective Inspector Bruce McNab said he had not been told of any finds during yesterday's search, organised late last week in a bid to be certain no evidence was overlooked. He said the original search site was doubled yesterday and, while nothing significant was recovered, investigating officers maintained the same enthusiasm for the case that was renewed when the skull was found on April 10. He said a link between the Cedar Pocket torso, found last September, and the skull was still on the cards and police would have more answers once DNA results were received hopefully next week. "We're really confident," he said yesterday. "We've had a lot of leads. "We're a long way from throwing our hands up. He said information on whether damage to the skull was sustained before or after the victim's death was yet to be revealed but that exposure to wildlife and the elements could have caused the damage. Police have not ruled out an impact being sustained prior to death, though. Det Insp McNab also said a digital reconstruction of the skull's face to be undertaken by police could provide a familiar face for someone to report missing. Meanwhile, he urged people to think hard about whether anyone they knew, a large-framed male 180-188cm tall and aged between 40 and 80 years old, had not been seen for a while. Det Insp McNab could not give an indication on the possible colour of the victim's hair or whether the Toolara Forest skull's dimensions appeared to match the dimensions of the Cedar Pocket torso. "An investigation can turn on the smallest piece of information," he said. He said there had been talk throughout the community of the torso murder being linked to drugs or organised crime, however he said people could not rule out other notions, including an innocent victim being "killed and disposed of in such a brutal fashion". He said police would work to uncover the identity and circumstances behind the skull and the torso, saying it would be some consolation to the victim and his family, who he said with the "busy lifestyle" of today, may be yet to even realise their loved one was missing. Anyone with information, no matter how trivial, has been urged to contact Crimestoppers on 1800 333 000. Det Insp McNab said police were methodically working through all information provided. Police identify the type of car in "Torso Murder"